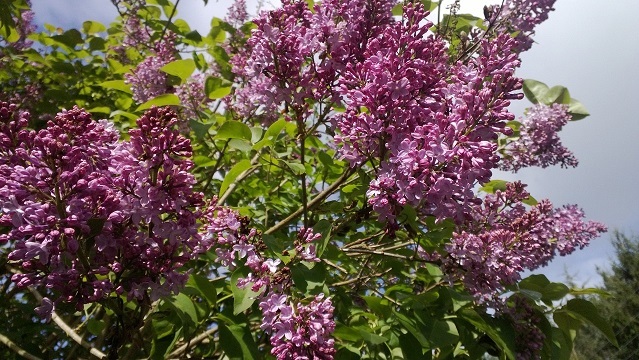 Lilac tree in Bellevue. It’s Spring! Looks like Spring has arrived in the Pacific Northwest. Happy Beltane! I’ve been busy with real life, the kids, etc. Slushing has also kept me busy (since February 1st I’ve first-read 179 stories totaling 702,600 words). About two weeks ago I attended a Clarion West ONE-day workshop with Mary Rosenblum “Step Into Their Shoes – Breathing Life Into Your Characters”. This workshop was amazing. Mary Rosenblum is not only a wonderful author, she is also a fantastic teacher. If you ever get the opportunity to take a class from her, I urge you to do it! One thing I learned in the class is that depth can be added to characters during the editing process. An approach Mary suggested is to edit for characterization in layers, progressing to the next level on each pass. 2. Internal – How the character reacts physically. Body language, facial expression, etc. that indicate thoughts, attitudes, emotions, etc. 3. Modify the internal reaction to convey a sense of backstory. 4. Modify the internal reaction with character faults that are known to the character. 5. Fine tune so that as the story progresses, character traits that the character is NOT aware of are revealed to the reader. 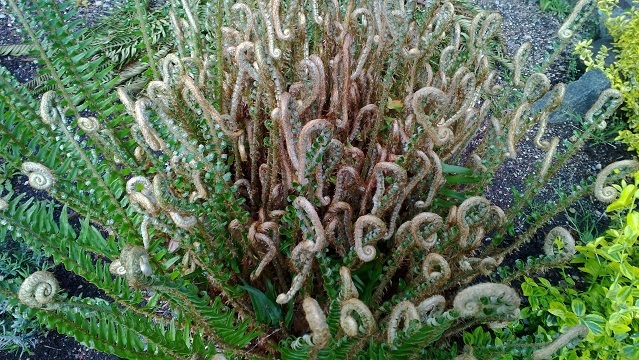 A tentacle fern, ready for Spring! Voice – What the character says and does. I’ll be asking myself, would my character really SAY that? Because if I write a character speaking with my vocabulary instead of their own, then that character will sound like me instead of himself. I’ll also be asking myself, would my character really DO that? As the author, I am holding the puppet strings. But the reader should not be aware of those strings. So if I need the character to notice a clue or look out the window to further my plot, I’ll make sure she has a believable reason to look. Environment – How the character is molded by their world and society. It can be really easy to fall into the trap of having my character react to situations the way I would. But if (for example) I have created an oppressive world, then my character needs to reflect the pervasive world view. I will ask myself how my character has been affected by living in that society and how he has internalized that society’s ideals. Then I’ll ask myself if she is reacting in a way that makes sense. Perspective – How the characters evaluate what they observe. People are constantly noticing what other people are doing, and observing their environment. So I’ll be asking myself how my character relates those observations to themselves. How do they interpret the surroundings and people around them? What does it mean to them? A person who gardens will notice more specific things about a room full of plants than a person with no interest in plants. Change – How the character changes over the course of the story. I will remember that like regular people, characters don’t just have an epiphany and change suddenly. The character needs to change as the result of external stimulus and experience. In a character-driven story, the character should make one step along their character arc in each scene. For more about getting into a narrator’s head, check out Cat Rambo’s recent blog post. This entry was posted in Writing Path and tagged blog, change, Clarion West, edit, First Reader, writing, writing workshop. Bookmark the permalink. Thanks, that was interesting and informative, she certainly covered some good points I will have to think about when I read.